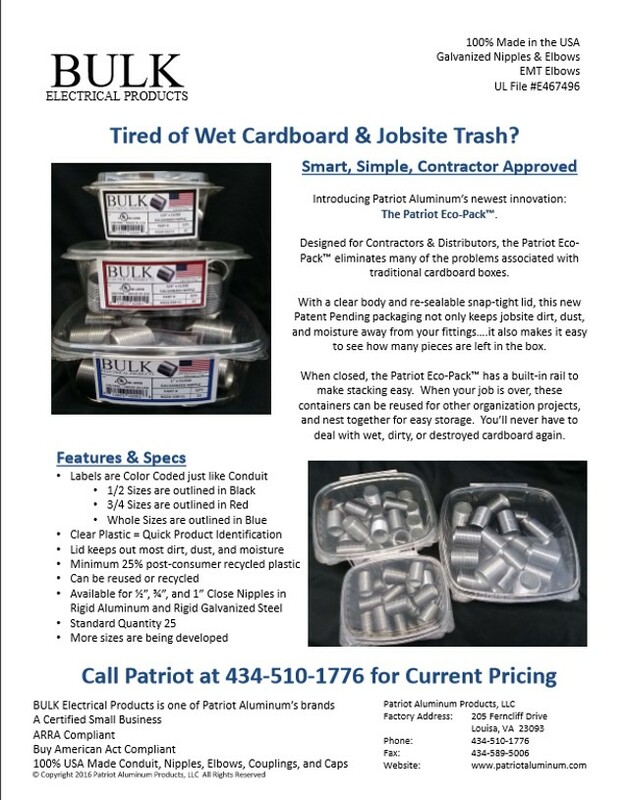 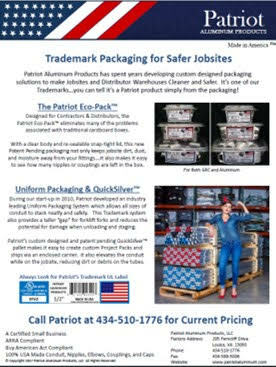 Patriot's Rigid Aluminum Conduit is a direct substitute for Rigid Steel Conduit in most above ground applications. 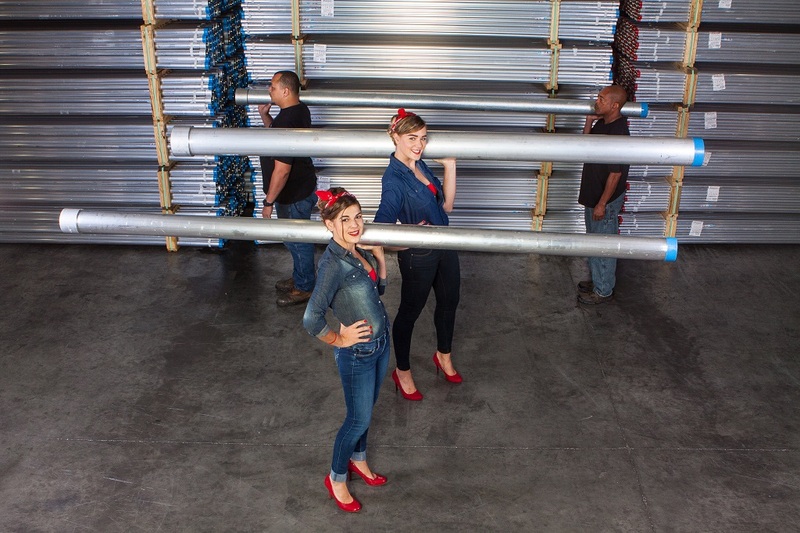 At 1/3 the weight of Steel, Rigid Aluminum Conduit can save up to 75% of your Installation Labor Costs. 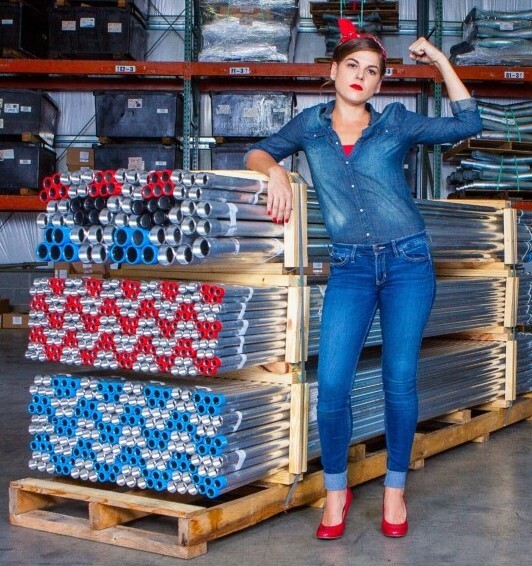 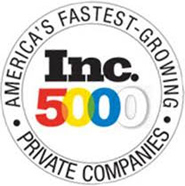 In addition, Rigid Aluminum Conduit costs 10-40% less than Rigid Steel on a Material Basis. 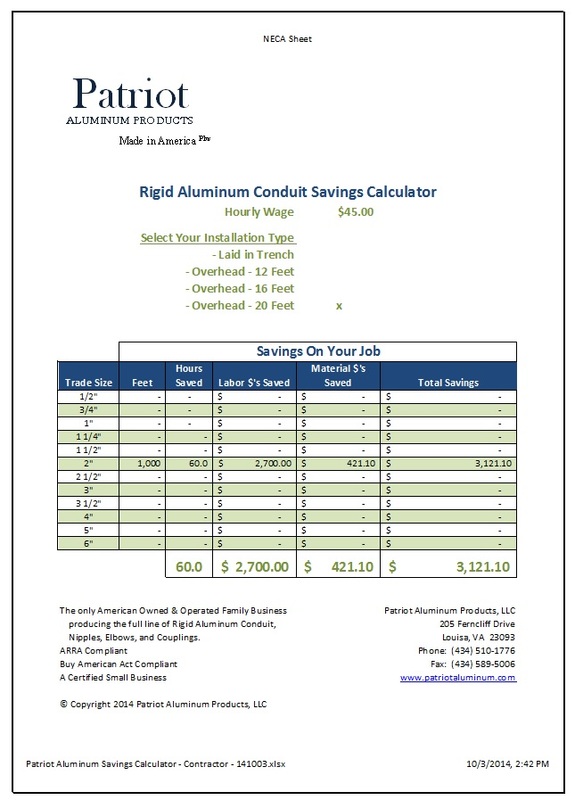 Our Savings Calculator will help you see how much you can save on your next project, just Right Click the link below and choose Save As.